Nowadays, we are left with stripping down and drenching ourselves with a hose as one of our only options for staying cool. Eddy's not complaining. In fact, he wakes up from every nap and exclaims, "Wuhduh!" I am really loving Meryl's photos lately. Her adventures are enviable and beautifully captured. And Coco looks so very happy and free. Baby buns are so cute!! 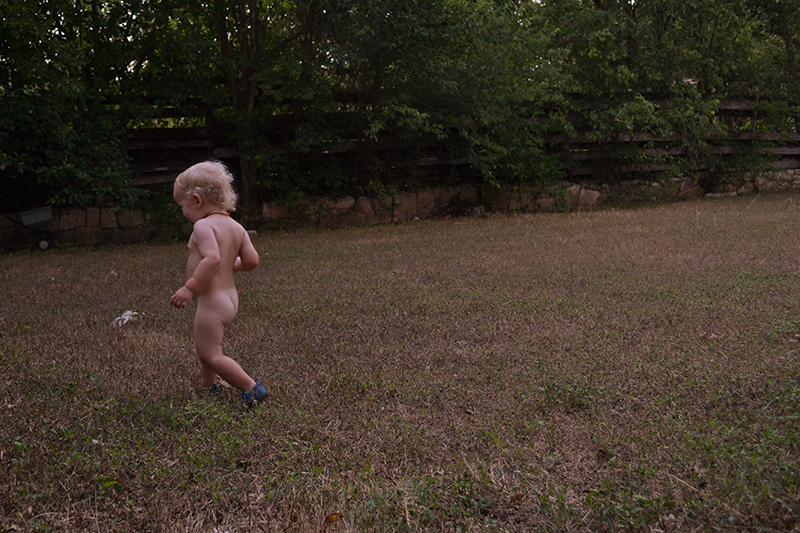 Naked boy, with shoes on. Makes perfect sense in our house as well.